The answer is “not hard at all!” The ramen I made was a huge hit and I can’t wait to make it again. The ingredients list for this dish is long, but don’t let that fool you. The recipe is easy and is so worth it. I have become such a fan of cooking with miso so I was excited to make this. The broth recipe takes a little time, and a lot of chopping but once I tasted it, I knew I had found a hit. 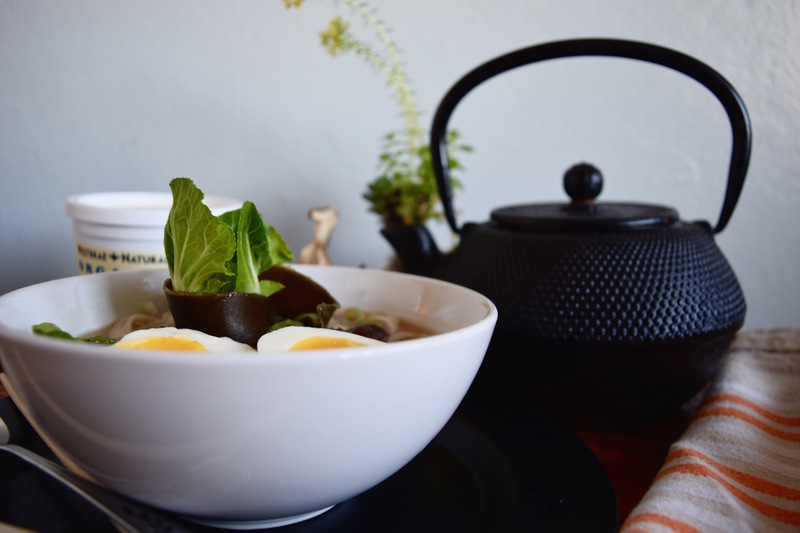 The recipe I followed is William Sonoma’s Homemade Ramen Broth. In a large pot over medium-high heat, warm the oil. Add the lemongrass, green onions, garlic and jalapeño and cook until fragrant, about 4 minutes. Stir in the broth, mirin, soy sauce and miso until combined and bring to a simmer. Add the kombu and continue to simmer until the flavors deepen, about 15 minutes. Strain and discard the solids before using the broth as directed in your recipe. Makes about 8 cups. As far as ramen ingredients go, it’s completely up to you. I chose to make mine vegetarian and gluten free by using rice noodles. Ramen noodles are easy to find at any grocery store. I used bok choy, shitake mushrooms, both fresh and dried, green onion, and 6-minute eggs. 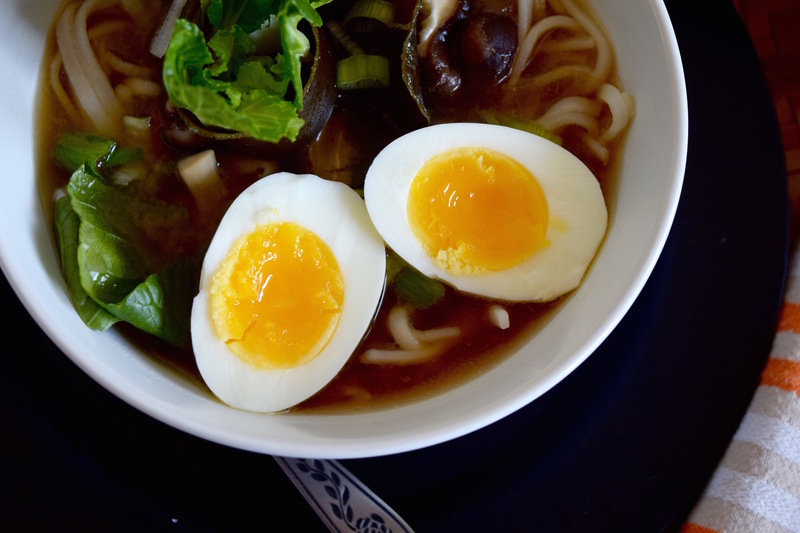 Practice this PERFECT 6MIN EGG recipe while your broth is simmering. Boil rice noodles separately in their own pot. Drizzle lightly with oil and set aside while you finish the rest of the recipe. Chop plenty of fresh green onion and remove the larger white portions of the bok choy. 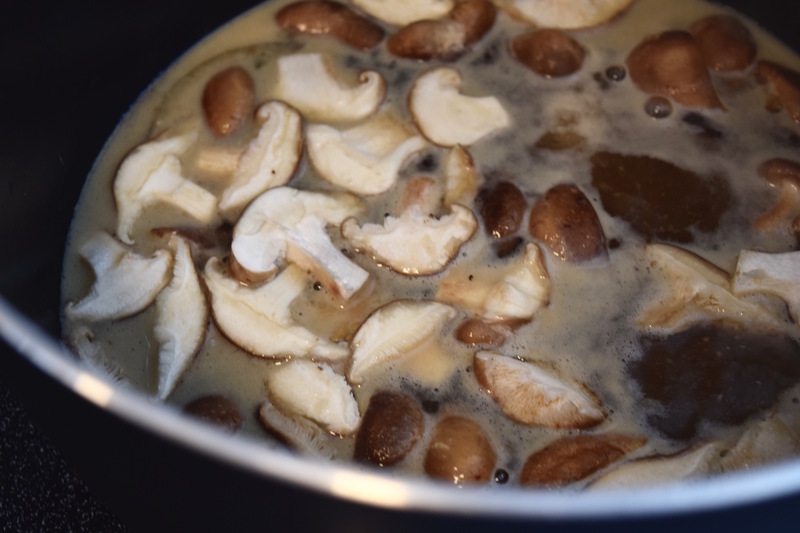 Let the mushrooms simmer in the broth for at least 10 min. When your eggs are peeled and sliced in half, you are ready to assemble your ramen. Place a heaping handful of rice noodles in a large soup bowl. Ladle broth and mushrooms (and some of that kombu, if you like it) over noodles. 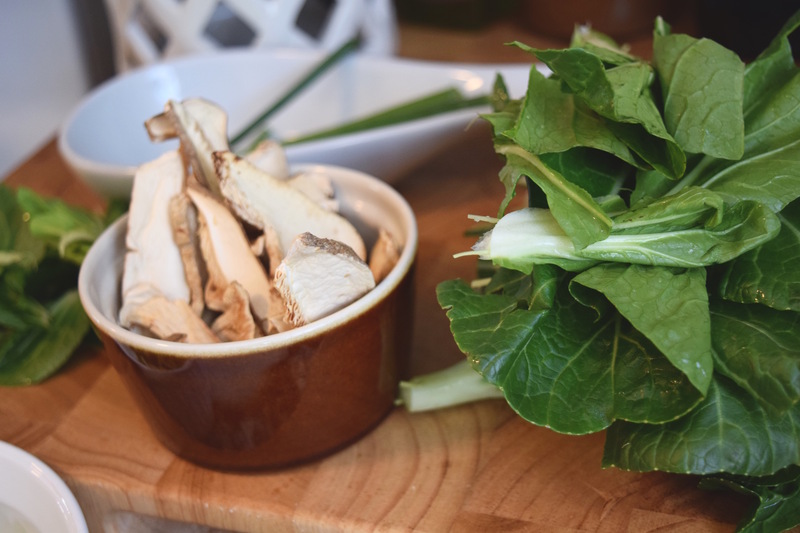 Add leafy parts of the bok choy and green onions and give it a quick stir. Add a few squirts of sriracha and enjoy! Interested in more fermented and pickled recipes? Visit SpoiledToPerfection.com!